Off season (Oct 31, 2016 - March 31, 2017) - Land Start Day is on Sun, Tue, Thur or Friday (with actual touring beginning on Mon, Wed, Fri or Sat) Please make sure your land start date falls on Sun, Tue, Thur or Friday during this time. 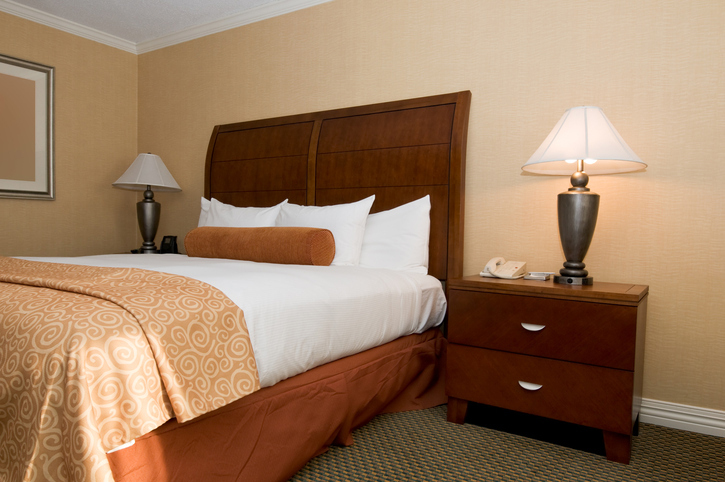 Departure point at 6 Waterloo Pl, guests are requested to check in at least 15 minutes before departure. Depart Edinburgh at 8:30 am, depart Edinburgh and travel west, passing Linlithgow Palace and Stirling with its imposing castle and views of the Wallace Monument. We pass Doune Castle, set of Monty Python’s “Holy Grail” before stopping in Callander for refreshments. Crossing into the Highlands we head north towards the glorious scenery surrounding Loch Lubnaig then through Breadalbane (meaning the ‘high country of Scotland’) and up to the wild desolation of Rannoch Moor. We continue through the spectacular mountain pass of Glencoe, scene of the great massacre of the Clan MacDonald in 1692. Leaving Fort William after lunch you drive past Britain’s highest mountain, Ben Nevis, and into the Great Glen. 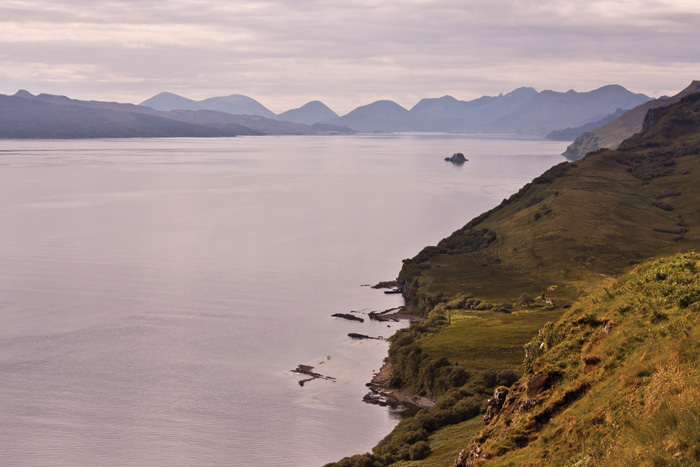 Traveling west on the “Road to the Isles” we head through the splendor of the Five Sisters of Kintail, the mountains guarding the pass on the way to the Isle of Skye. 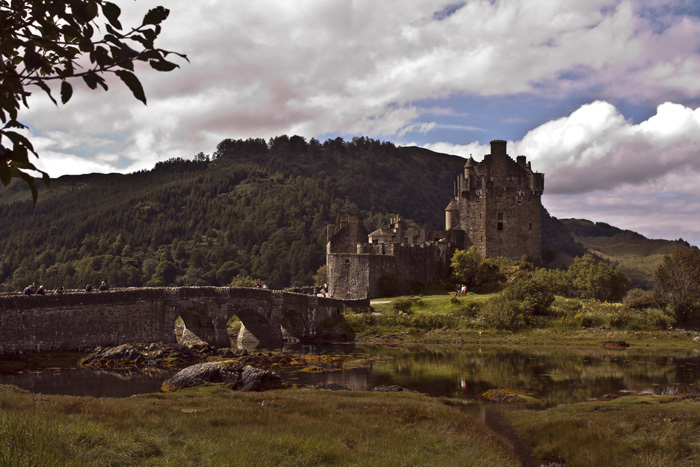 We stop to visit the famous Eilean Donan Castle, one of Scotland’s most photographed castles, set at the junction of 3 lochs and completely surrounded by water. 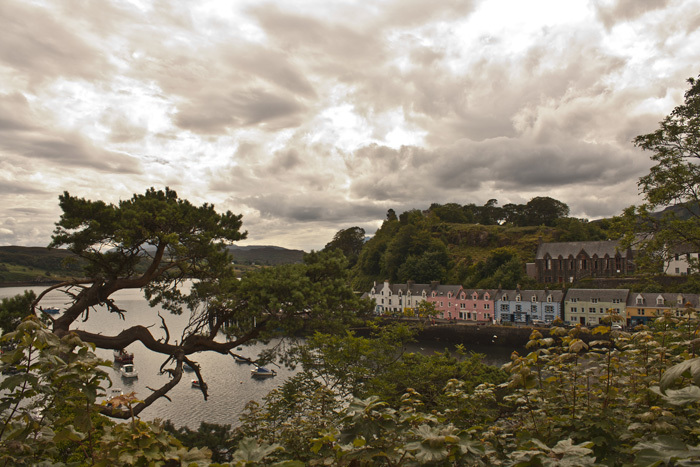 Crossing over the bridge to Skye, we follow the dramatic coastline north towards the island’s capital, Portree. We are dropped off at our accommodation in the early evening where we are free to go out and explore the town. Day 03, A flexible day on Skye! There are many possibilities depending on the weather and our driver/guide's knowledge will come to the fore in developing the best day out. 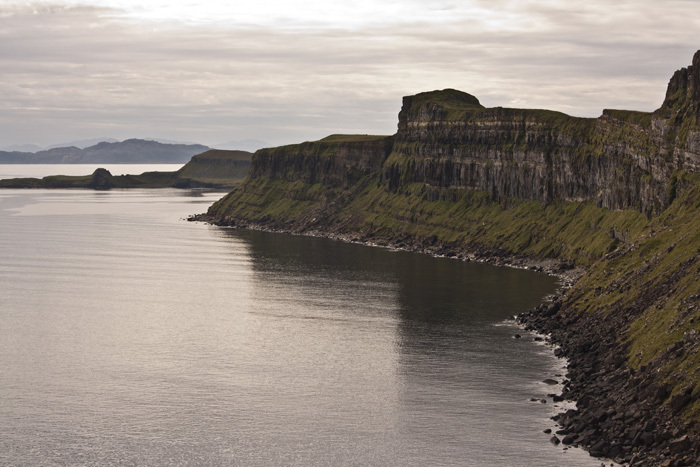 North of Portree is the Trotternish ridge with its spectacular cliffs and rock formations, such as the famous landmark – the Old Man of Storr, the impressive sea cliff, Kilt Rock and the stunning mountain pass of the Quiraing. Amazing natural scenery, which is best enjoyed away from the bus by taking a walk through this unique landscape. 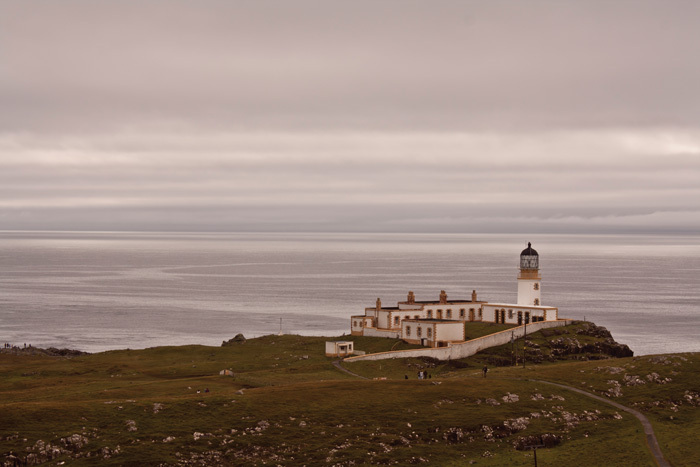 Further west the scenery changes again with the emerald green valley of Glendale, the dramatic sea-cliffs of Neist Point (the most westerly point on the island, where we might get lucky and spot some whales or sharks! ), and the 13th-century home of the Clan MacLeod, Dunvegan Castle. We return you to your accommodation in Portree in the early evening. Overnight Isle of Skye. 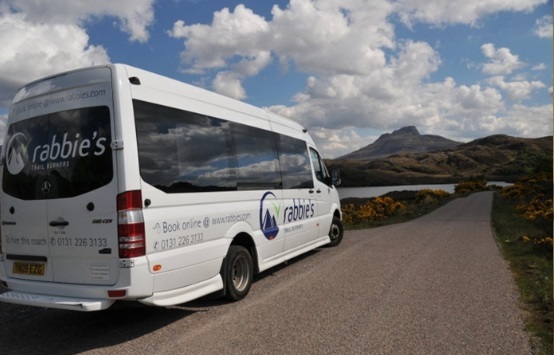 We are collected from our accommodation and travel south through the Cuillin Hillsand back over to the mainland for stunning views over Loch Duich and the 5 Sisters of Kintail. Onto Loch Ness for lunch and the possibility of spotting “Nessie”. 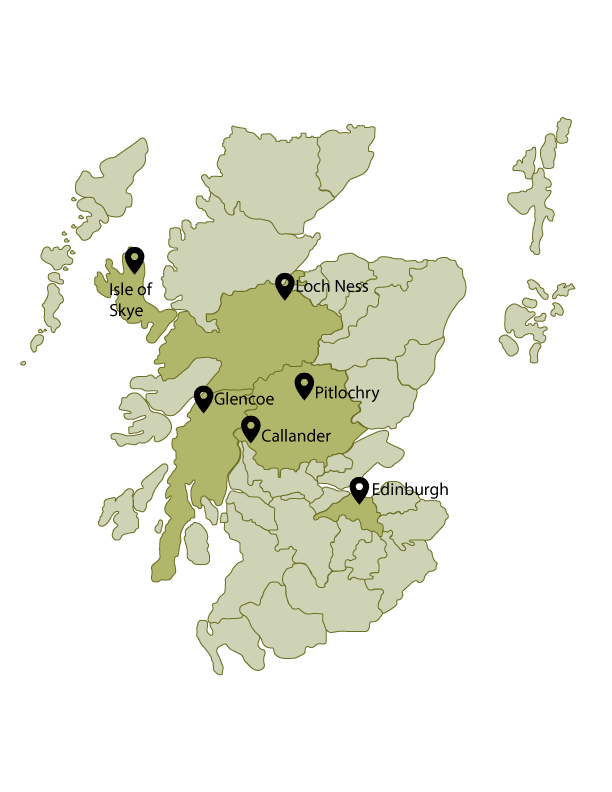 Heading south now through the Grampian mountains along Loch Laggan, famous now as “Monarch of the Glen Country” before passing Dalwhinnie, home to Scotland’s highest whiskey distillery. We pass Blair Castle and continue through Highland Perthshire as we head back to Edinburgh and over the Forth Road Bridge. Arriving at approximately 7:00 pm in Edinburgh. Your tour ends at Rabbies Cafe at 6 Waterloo Place in Edinburgh, where you will make your own way back to your pre-booked hotel.